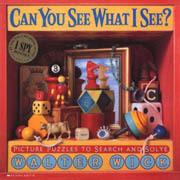 Go cross-eyed Babyology-style with Can You See What I See? 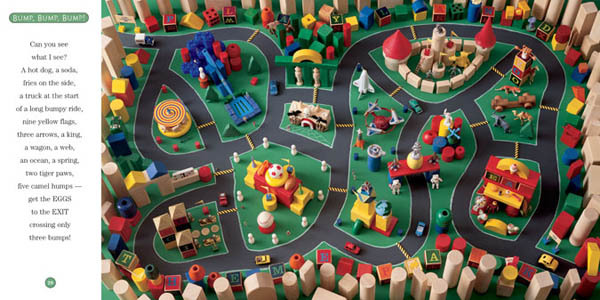 Small kids come with teeny-tiny attention spans. Which makes it incredibly difficult when you want to keep them entertained and out of mischief for longer than, say, ten minutes. I’ve only found two things that work consistently with my brood – the Xbox for my son and a Hi-5 dvd for his little sister. But for reasons I don’t think I need to spell out, neither of those options are ideal. 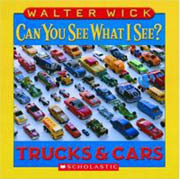 So I am in all sorts of debt to Walter Wick and his incredible Can You See What I See series of picture books. We discovered these books shortly before my son’s fourth birthday and they are still a hit more than a year later. 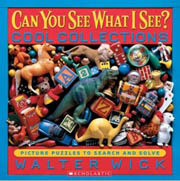 He’ll happily sit for ages and ages trying to find the list of items cleverly concealed in the amazing photographs, making these my go-to books when my kids need to wind down or chill out. Or when I need to grab those ten minutes without feeling guilty. In the style of Where’s Wally but with loads more panache, the books will even have adults hooked and, dare I say it, occasionally stumped as you sit with your kids to solve the clues. 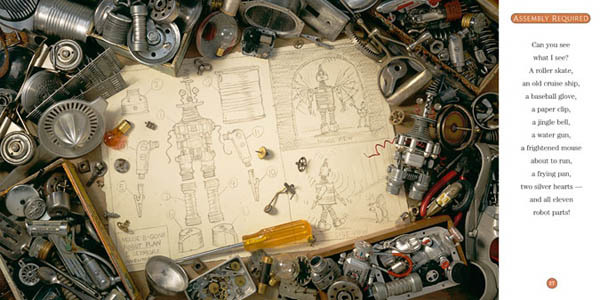 Just as interesting is a visit to Walter Wick’s website for a look behind the scenes at how he crafted the intricate sets photographed for each book. There are several volumes in the series. 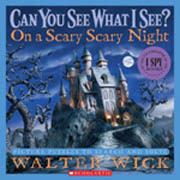 The original Can You See What I See tome; On a Scary, Scary Night; Dream Machines (my son’s favourite for the robots and machinery); Cool Collections; and Once Upon a Time already grace our shelves. 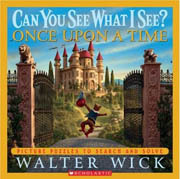 We’ve also recently discovered the Can You See What I See board books for babies, with rhyming tales and simpler puzzles to solve. The Trucks and Cars version turned up in our baby boy’s Christmas stocking – I’m sure it will be hit when he grows big enough for his eyes to focus properly – but there’s also animals and dinosaurs. 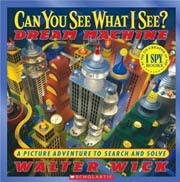 Can You See What I See books can be found on the shelves of most municipal libraries but are incredibly hard to find in stores. The easiest way to get them for your offspring if you want to buy rather than borrow is to go online and hit the Book Depository, where hardback versions start around $14 and baby board books from $4, with free delivery.